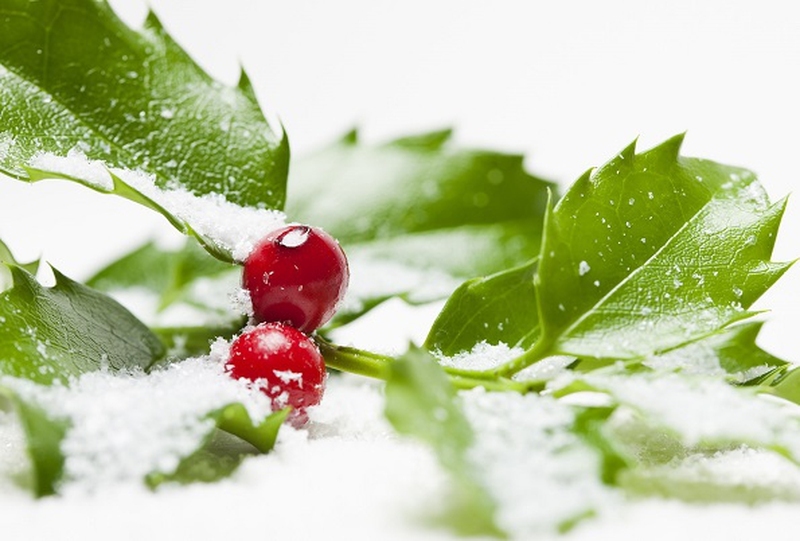 Some of the common houseplants and decorative plants usually bear highly toxic berries. As a result, they present a high risk, especially in a home with small children and pets that are easily attracted by good-looking berries. Therefore, it is very important to differentiate the berries that are good from those are that are poisonous. Poisonous berries usually cause certain symptoms in human beings when consumed, although this is determined by the amount of berries taken. Healing can be realized with quick treatment in some cases. The plants are native to some regions but because of their attractiveness, human beings have planted them in other parts of the world. Here, you will get to know a number of poisonous berries that are to be avoided because of the risks they present if they are accidentally consumed. 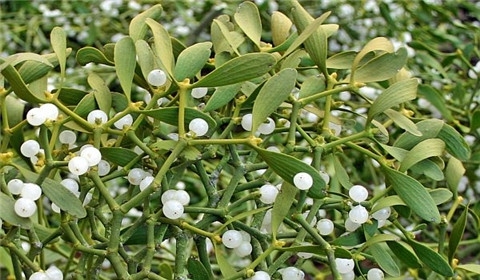 The Mistletoe is originally referred to a specific breed that is commonly found in Europe and Great Britain. Now its meaning has been broadened and these berries can also be found on other parts of the world. The plant attaches itself and permeates through shrub and tree branches. 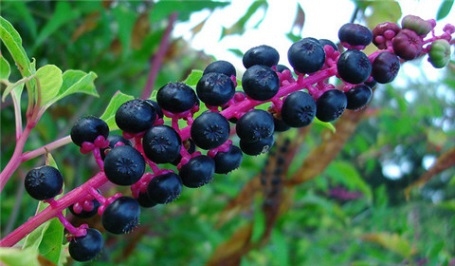 The plant berries are usually pink or white in color. They usually appear in clusters. This plant is wholly toxic. Most of the poison is more concentrated on the leaves than it is the case with the berries. A few ingested berries may not be severely harmful, though may cause convulsions, stomach cramps, blurred vision and diarrhea (if taken in large quantities). These types of berries are commonly found in the subtropical and temperate parts of the world. 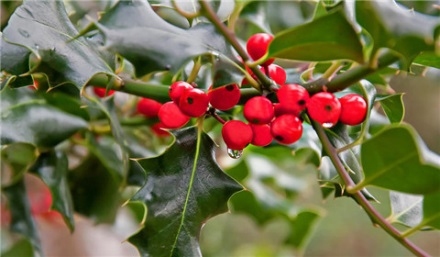 The holly berry-bearing plant usually has glossy leaves with a saw-toothed leaf margin. The flower is usually greenish white. The berries are usually black, red, brown and sometimes yellow or green. 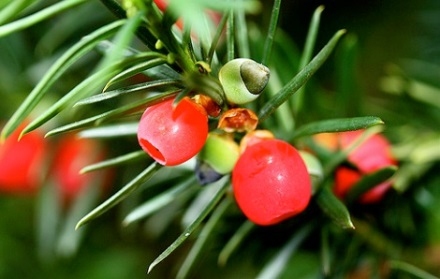 One or two berries taken by either a dog or a child is not likely to be harmful. About 20 of them could be dangerous. This could lead to diarrhea and vomiting. Once eaten, the leaves could also lead to these symptoms. 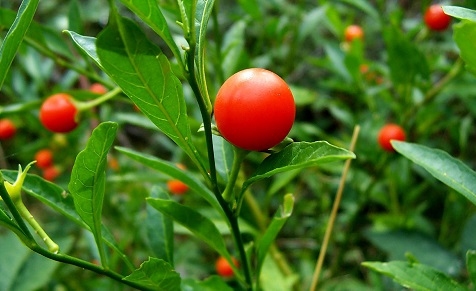 The Jerusalem cherry is native to Ecuador and Peru and in such places where the weather is cold and frosty. It can also be found in Australia, New Zealand and South Africa. The berries are usually orange in color and with a tomato shape. The berries usually have solanocapsine that causes gastric complications and vomiting when consumed by children. It can cause severe consequences in dogs, cats and birds. Even the pet birds such as parrots cannot survive its poison. 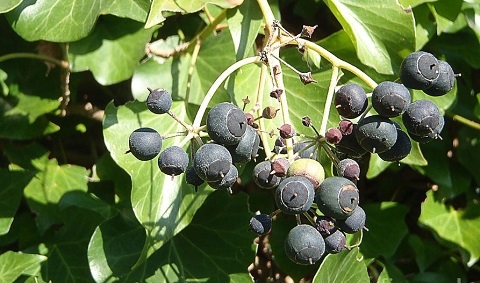 Ivy poisonous berries are natively found in Western Asia and Europe. There are usually born by evergreen vine in waste spaces, tree trunks, on house walls and wild areas. The leaves are generally five-lobed which are attached to the climbing and creeping stems. The flowers are usually greenish-yellow while the berries can either be orange-yellow or purple-black. These poisonous berries have a bitter taste. It is unlikely that people will be poisoned by it because no one would withstand their bitter taste. The berries can cause swelling and pain in lips, tongue, skin and face. They are natively found in the Eastern and North parts of North America. 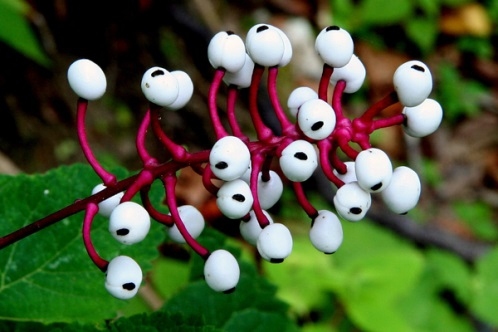 It is usually a berry that is white in color having a black stigma scar on it that looks like an eye. The entire plant is generally poisonous especially for human beings. The most harmful part is the berry despite its sweet taste. The killer substance is a carcinogenic toxin which causes sudden soothing effects on a person’s cardiac muscles and can easily lead to death. This is originally found in South West Asia, Europe and North Africa. These poisonous berries are usually soft, though enclosed in a red shell growing from a somewhat medium tree. The entire fruit is normally poisonous except the shell that hosts the berries. Human beings will be affected if about 50g of this fruit have been taken. Once consumed, a person can start having muscle tremors, breathing difficulties, collapse, convulsion and end up having a heart attack. Severe poisoning can quickly lead to death without showing other symptoms. The Belladonna is natively found in North Africa, Europe and Western Asia. The leaves are usually green whereas the berries are black in color. The entire plant is harmful. However, the berries tempt more because they are attractive and sweet. The poisonous berries contain a poisonous substance called Tropane alkaloids that is responsible for causing hallucinations and delirium. It may also lead to voice loss, headaches, dry mouth, challenges in breathing and convulsions as well. An adult can die by consuming about 10-20 berries or just one leaf. It is commonly found in the Midwest, Eastern North America and in the Gulf Coast. 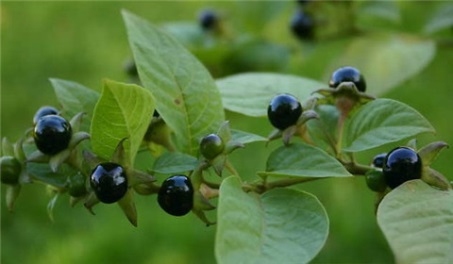 The plant has a big white tap root, big simple leaves, red or green stems, white flowers and purple-black ripe berries. The plant has toxic substances called saponins concentrated highly at the leaves, stems and rootstock, but the toxicity of the berry is mild. Plant toxicity increases with maturity, however the berries are more poisonous when green. The poison causes a burning mouth sensation, gastrointestinal cramps, bloody diarrhea, salivation and vomiting. Severe cases may show changed heart beat rate and respiration, anemia, convulsions and death. Server responsed at: 04/24/2019 4:24 p.m.